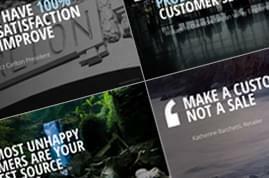 Clear structuring with charts, tiles, hands and icons, for an appealing business presentation. 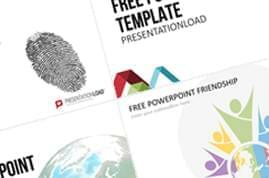 Receive seven flat design slide packages with sample business presentations and artwork collections on the subjects of hands and gestures, diagrams, tiles, icons, social media and space. The primary focus of flat design is on clean lines and highly visible color contrasts whereas elaborate lighting effects and detailed reflections are irrelevant. In combination with different fonts, this design centers on the essentials, therefore making it clear and easy to use. Flat design was initially used only for websites and apps. However, the variety of mobile devices currently available on the market made it necessary to develop a software design that is efficient, regarding the low processing power of portable devices and flexible in adapting quickly to advancing hardware. 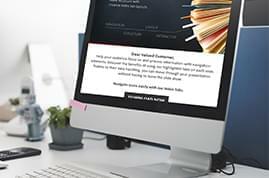 Flat design is a compromise of the two and guarantees a clearly structured layout that is user-friendly and can be displayed on different customer terminals. 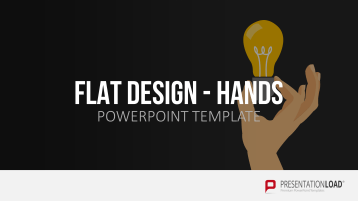 Structure and simplicity are what make the flat design for PowerPoint. An interplay of typography and geometric shapes can convey your main idea to the audience ensuring that they can easily follow your designs. 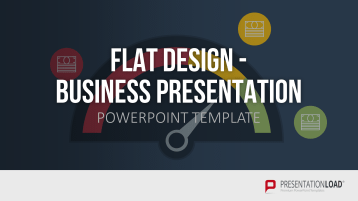 Included are sample slides for the presentation of your project or its status in vivid flat design. Timelines, tables, pyramid and various diagram types (such as radial and process charts, Gantt charts, etc.) can be put together into a portfolio on which you can rely at all times. These are flat design graphics of hands in different positions. A thumbs-up, clenched fist or cautionary forefinger are gestures that can be understood at first glance. Those, along with hand graphics holding various objects, such as a pen, a business card or a cell phone are included in this package. 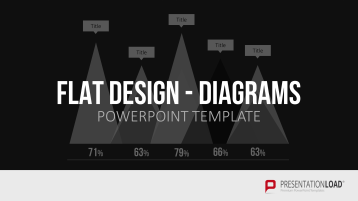 This package is a selection of the most common chart types compiled in flat design. This includes column and line as well as radial, cobweb, circular or Venn diagrams. 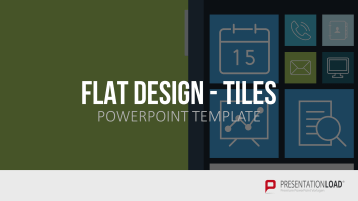 Tile graphics and infographics can be easily achieved in flat design. The slide is first divided into several rectangular tiles before it can be colored and supplemented with information. This package contains a template selection of various infographics. Utilize this toolbox of different icons in flat design and create your presentation with symbols of telephone receivers, envelopes or folders of several types. Whether with Facebook, Instagram, Pinterest, YouTube, Twitter or Google+, effective marketing makes use of the major social media platforms. With this slide package, you can precisely plan the activity of your company on social networks. 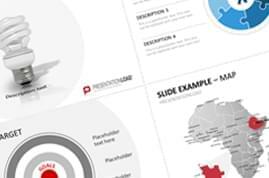 We offer you not only flat design graphics of the logos and icons of popular websites but also provide you with sample slides for each platform. Acquire a broad range of PowerPoint slides on the subject of outer space with flat design graphics of spaceships, rockets, astronaut, planets and aliens. 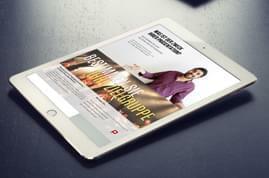 Awesome designs and a helpful tool for every occasion!